Recovering From Personal Injury Accident Brain Injuries | Hupy and Abraham, S.C.
Traumatic brain injuries are a factor in about one third of all fatal accidents. According to the Centers for Disease Control and Prevention (CDC), approximately 1.7 million people suffer traumatic brain injuries in the United States each year. More than 50,000 people die from these injuries while hundreds of thousands are hospitalized. If this has happened to you or to a loved one, then you personally know the devastation caused by a brain injury, you know the physical and emotional pain suffered by the victim and his loved ones, and you know just how different the future looks now compared to how it looked prior to the injury. Our experienced personal injury attorneys regularly represent people whose lives have been forever changed by brain injuries and we fight hard for the fair and just recovery of every single one of them. Car accidents. Car accident victims may suffer from open head injuries, closed head injuries, direct impact injuries, and countercoup injuries because of the violent shaking of the brain against the skull during impact or because of the way the head hits an object during impact. Motorcycle accidents. Motorcycle accident victims face the same risks as car accident victims and may suffer severe brain injuries because of the lack of protective metal and safety features on their bikes. Slip and fall accidents. Typically, slip and fall brain injuries occur when a person hits his head on the ground or another object during the fall. An injury can also occur if something sharp penetrates the skull when the victim falls. Nursing home abuse or negligence. A nursing home resident may be injured because of a medication mistake, a fall, another form of negligence, or intentional abuse. 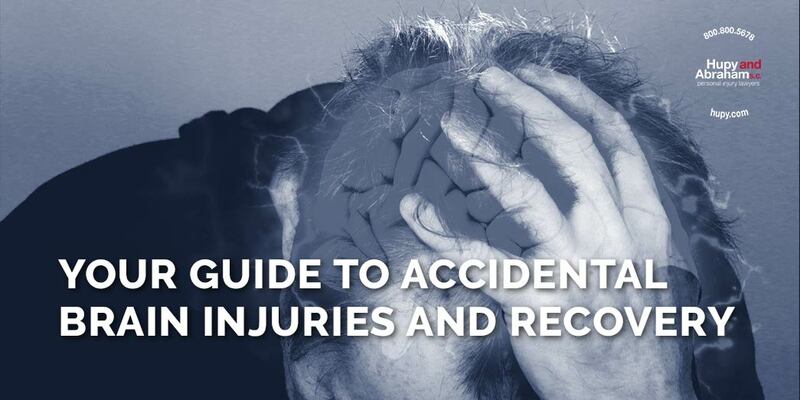 Other types of accidents, such as truck wrecks, bicycle accidents, and pedestrian accidents, for example, can also result in traumatic brain injuries. Regardless of the specific type of accident, when a brain injury is caused by someone else’s negligence, then it is important to fight for the fair and just recovery you deserve. Hypoxia. This type of brain injury occurs when there is a lack of oxygen to the brain. Chemical damage. An accidental overdose of medication or the improper mixing of medications can lead to this type of brain injury. Open head injury. This occurs when an object penetrates the skull. Closed head injury. A closed head trauma occurs without anything penetrating the skull or touching the brain. Instead, it occurs when the head is violently shaken, such as during a car crash. Direct impact injury. A direct impact injury occurs when the head is hit or the head strikes an object. It is a common type of injury suffered in a motor vehicle crash. Contrecoup injury. A contrecoup brain injury occurs when there is damage to both sides of the brain. There is the initial impact injury (coup) and then injury on the opposite side from the initial impact (contrecoup). It is common when the brain rocks violently and is often seen in motor vehicle accident victims who suffer whiplash. Regardless of which type of brain injury you experience, you may suffer similar side effects and have a challenging road to recovery. The force with which you were injured. The area of your brain that was hurt. How quickly you got medical help. Whether you follow your doctors’ treatment plans. These side effects may be temporary or permanent, and they significantly interfere with your activities of daily living and your ability to work. See the right medical professionals. These may include a neurologist, neuropsychologist, neurosurgeon, neuropharmacologist, neuroradiologist, physiatrist, or other medical professional. Get the right tests. Often, your doctors will suggest imaging scans such as a CT scan, a SPECT, or an MRI so they can accurately diagnosis your brain injury and develop the right treatment plan. Know what to expect during your recovery. There is no fixed timeline for a brain injury recovery. Everyone heals at a different rate and has a different prognosis. It is important to be open to rehabilitative therapies, to ask questions of your doctors, and to ask for help from friends, families, and specialists. Know what to expect during a brain injury lawsuit. Understanding the process can make the journey less intimidating. Understand the types of damages that you may be able to recover in a brain injury lawsuit. It is important to know why you are pursuing a legal recovery. All of these things can guide you on the road to recovery, but it is important to also involve your family and friends in the recovery process. Try to stay calm and not be offended by your loved one’s words or actions. Watch for behavior problems and work with your loved one’s doctors and therapists to address them. There are ways to handle aggressive behavior; however, if anyone’s safety is in immediate jeopardy, then you should seek emergency help. Try not to compare your loved one with how he or she was prior to the accident. Encourage your loved one to follow doctors’ orders and attend all appointments. Have your loved one write down as much as possible to compensate for memory loss. Establish structure and have a predictable routine. This can keep your loved one calm and help him adjust to his current situation. None of this is easy, but all of it is important. You also need to take time to take care of yourself. This may be one of the most important things that you can do as a relative or friend, because you need to be healthy and strong to take care of your loved one. Everyone who has suffered a traumatic brain injury—or any other type of personal injury—due to someone else’s negligence should recover fair damages for the significant, often life-changing, injury that he or she suffered. Our attorneys have more than 170 years of combined experience helping personal injury victims get the recoveries that they deserve. Find out more about how we work by ordering our FREE DVD of three Insider Exclusive TV episodes now. Contact us online or call us directly at 800.800.5678 for your free consultation. ?How can I recover for all of my medical expenses after a personal injury? ?I was hurt in a personal injury accident. Can I recover for the out-of-pocket expenses I’ve had to pay because of the accident? ?What’s included in lost income damages in a Wisconsin personal injury case?